HVAC Sheet Metal and HVAC Mechanical Estimating Software has seen many productivity advancements with the introduction of improved software tools designed to make the estimating process easier-to-use. On-Screen Takeoff is one of the newest estimating takeoff tools since the introduction of the electronic digitizing board. On-Screen takeoff technology allows digital drawing files to be easily imported from digital drawing files and viewed on your estimating software desktop to quickly strip information without the need of paper drawings. After the on-screen takeoff is completed all the information is aligned in your estimating software with labor and material quantities. Detailed estimating bid management reports are generated with detailed information of the items in the takeoff. Wendes Estimating Software provides accurate pre-loaded shop and field labor, fitting tables, accessory items and equipment for all phases of HVAC Sheet Metal,Piping,Plumbing and Mechanical estimating. The pre loaded information provided with the Wendes HVAC Estimating Software facilitates the estimators learning curve and implementation of estimating software. Pre loaded labor and material information included in the Wendes HVAC i software is based on detailed labor studies that were conducted over a twenty five year period by founder Herb Wendes P.E. The labor studies were based on detailed per piece labor methodology which accounted for every detail of shop fabrication and field installation. The labor data and estimating methodology was originally included in a widely circulated estimating instructional manual used to instruct estimators, project managers and HVAC professionals The information and formulas for calculating labor and materials is now contained in Wendes Estimating Software. 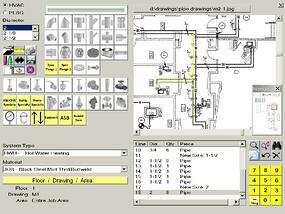 Evaluating HVAC Estimating Software can be a difficult process. We recognize that every company has unique requirements in selecting the correct estimating software for their business. "Trial Estimating Software" may help you to evaluate the best solution for your company. Trial Estimating Software will allow you to deploy the application on projects that you bid and help you experience "real world" results. Begin the evaluation process by detrmining the most important features required for your company. Create a quick punchlist of features that you need to help sreamline your estimating process. Select reputable software providers for a presentation and direct the process by selecting the features that are meaningful to you. After selecting a prospective software provider request a "Full Use Software Trial Evaluation" before you make a purchase, this evaluation will validate the software performance and features you need. The trial evaluation will provide hands on performance and an opportunity to experience the quality of training and technical support provided by the supplier. If you select reputable software providers they should be interested in long term relationships with their clients. Choosing the correct HVAC Estimating Software application is a long term committment and financial investment that is vital to the success of your company. Producing accurate and competitive labor and material estimates is the cornerstone for the success of every company engaged in bidding construction projects. HVAC Estimating Software is a vital tool for your company's success by helping to provide accurate and competitive labor and material estimates faster than traditional manual methods. The industry reports that the typical productivity gain using HVAC Estimating Software vs. manual methods is about three or four to one. In other words, an estimator armed with HVAC Sheet Metal or Piping Estimating Software can produce accurate and competitive estimates four times faster than an estimator performing estimates by hand. Productivity gains are only half the story when comparing methods. There are also other important factors such as the ability to produce extensive detailed reports with each takeoff, conduct "what if calculations", quickly track "change orders" and modify an estimate when the scope of a project changes. Wendes software allows estimators to convert system and material types without re-entering information. HVAC estimating software contains an extensive and detailed database of labor cost and material cost information. 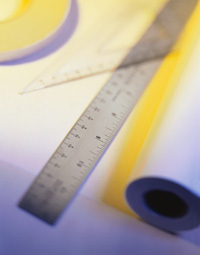 National Pricing services are included for mechanical estimating that that provide accurate national commodity pricing. Wendes systems labor database is derived from extensive per piece labor studies which were conducted over a twenty year period by founder Herb Wendes. 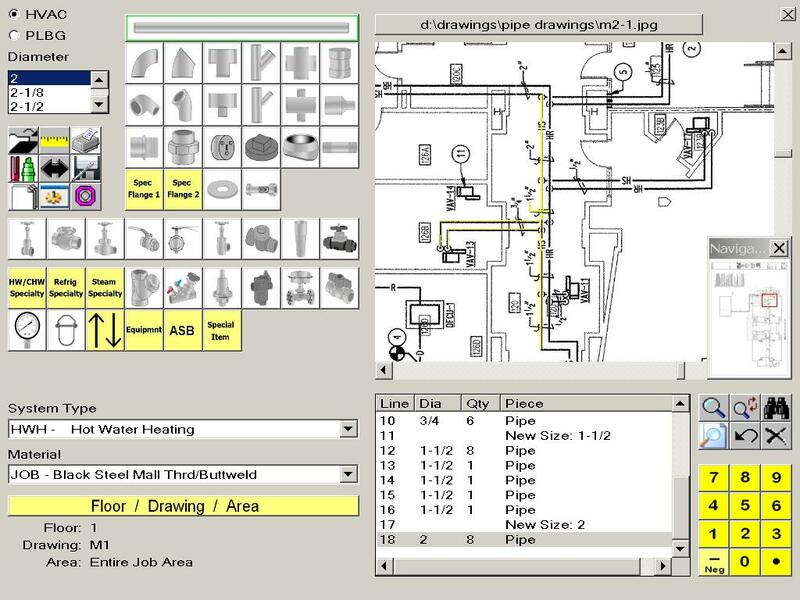 The labor cost and material cost database contained in the HVAC estimating software may be adjusted to meet the unique methods and conditions of project specifications and practices employed by the HVAC Contractor. Factors such as regional labor rates and methodology are adjusted to produce highly accurate and detailed estimates for every region. HVAC Estimating Software will contribute to a paperless workflow by producing a software based database for every project, information is easy to archive and retrieve. The software database provides an historical profile for projects with information concerning labor, materials, job scope which is recorded in the software for every project takeoff. New technology in "On Screen Takeoff" now allows estimators to "takeoff projects" on the computer screen without the need for paper drawings or electronic digitizing boards. Digital drawing files may be viewed on-screen for takeoff and passed on to others coordinating a project. To learn more about HVAC Estimating Software contact Wendes Systems, Inc. for a free consultation, presentation and "Bid Your Next Project On-Line" with the assistance of an experienced Wendes consultant. Whatever method you choose; Fast, Accurate and Competitive labor and material cost estimates are vital to your company's success.